Often associated with self-reflective doom and gloom, Antony and the Johnsons may surprise a few with their fourth album, Swanlights, a more optimistic offering on the whole. The album opener, 'Everything Is New', suggests a change in tone, with the repetition of its sole lyric "everything is new" set to the building intensity of an instrumental landscape created by The Johnsons. From this starting point, Swanlights broaches many of the themes that have often been confronted by Antony Hegarty - death, human relationships and identity - but from a very different emotional stance. Flourishes of piano, strings and vocals on 'Ghost' announce a certain abandonment of negative thoughts and feelings, heralding a fresh start. 'Thank You for Your Love' is a rare moment of celebration filled with major chords, a brass chorus line and an increasing tempo. However, not all is optimism and light; the title track of the album, 'Swanlights', is a sombre and shady moment filled with shadowy guitar reverberations and the characteristic warbling sounds of Antony as he repeats the line, "I've seen faces in my dreams". In recreating the intensity and depth of the dream world, 'Swanlights' becomes the pinnacle point of the album. 'FlÃƒÂ©tta' is the bringing together of two idiosyncratic voices that are almost too unique to be present at once, so much so that it feels like a competition where Bjork easily dominates with her Icelandic tones. Nonetheless, it's an exciting collaboration that demonstrates the power that vocals can have upon emotions; a quality that should thankfully never shift in Antony and the Johnsons' work. 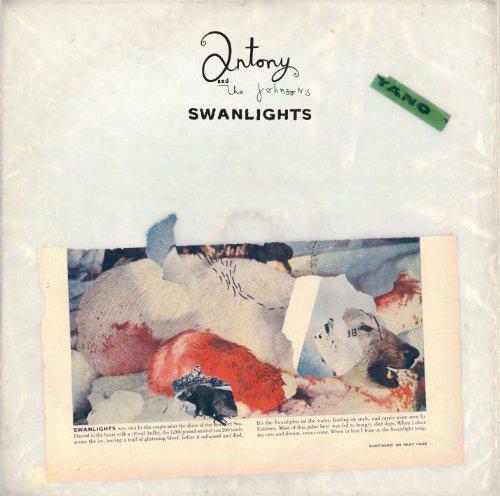 Refreshingly, Swanlights makes a break from the overbearing melancholy of past records while maintaining all the emotional pull of Antony Hegarty's exceptionally affecting vocal talents.